Kim Crews is a graduate of Western Illinois University, where she received bachelor’s degree in finance which included real estate, insurance and investments. Kim’s grandmother, Esther Dannenbring, was the first female agent in Burlington. As a young girl she remembers viewing homes with her grandmother. It was a natural fit to follow in her grandmothers footsteps, and in 1996, Kim received her real estate license. Born and raised in Burlington. Kim and her husband Clay now live just north of Burlington. Their three children have been educated in the Mediapolis School system just like their father. Their oldest is now attending the University of Iowa pursuing a nursing degree. GO HAWKS! 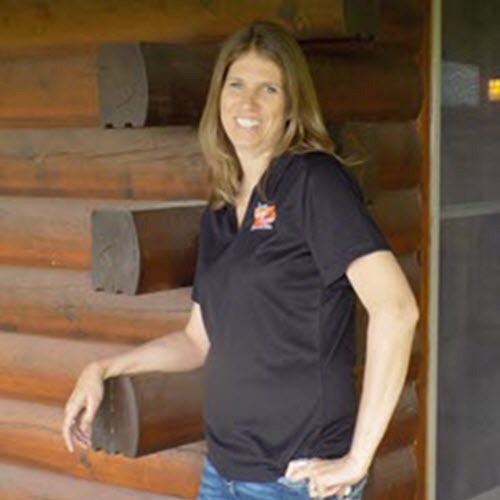 Kim specializes in residential property and enjoys working with both buyers and sellers. She especially enjoys the hunt for that special property that feels like home sweet home to her buyer. In her free time, Kim enjoys being outside gardening, attending kids sporting events, cooking with her family and some down time on her patio. Since moving to Iowa Land and Home Specialists. Kim has pledged to give back by donating to a hunger related charity with every real estate transaction. You can contact Kim Crews directly at kimrcrews@gmail.com or by phone at 319-209-0897.